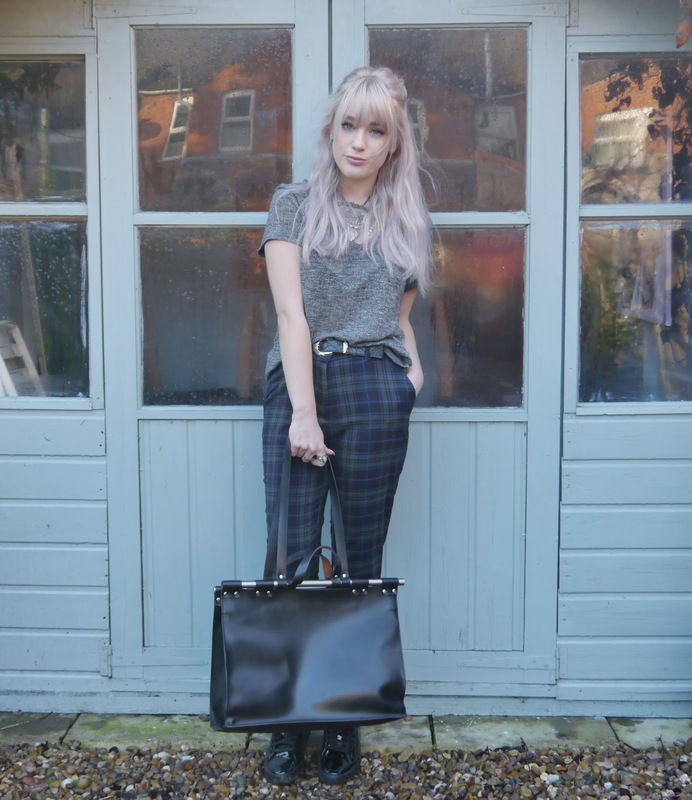 I ordered two pairs of trousers from Forever 21 last week and I've had so much fun styling them up. I got this pair, the perfect tartan/check print for me with it's cool toned grey, purple and blue pattern, as well as a black pinstripe pair in the same shape. I absolutely love this boyish look at the moment, pairing more masculine trousers with trainers and a simple top, both pairs I bought go so well with my white adidas trainers or these patent babies. I styled this tartan pair in two ways, the next is a bit more in keeping with my usual style, with pastels, metallics, sparkles and fluff, so watch this space for that one! 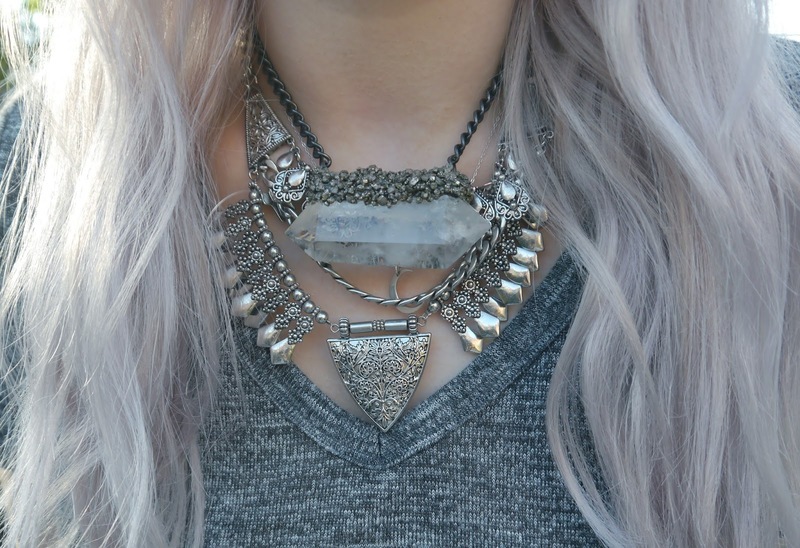 I love the necklace! happy new year! looove those pants, I've been wanting something like those! Love those pants, everything looks perfect! And this necklaces - wow ._. You look amazing, your edgy style is so inspiring! Your hair is gorgeous! 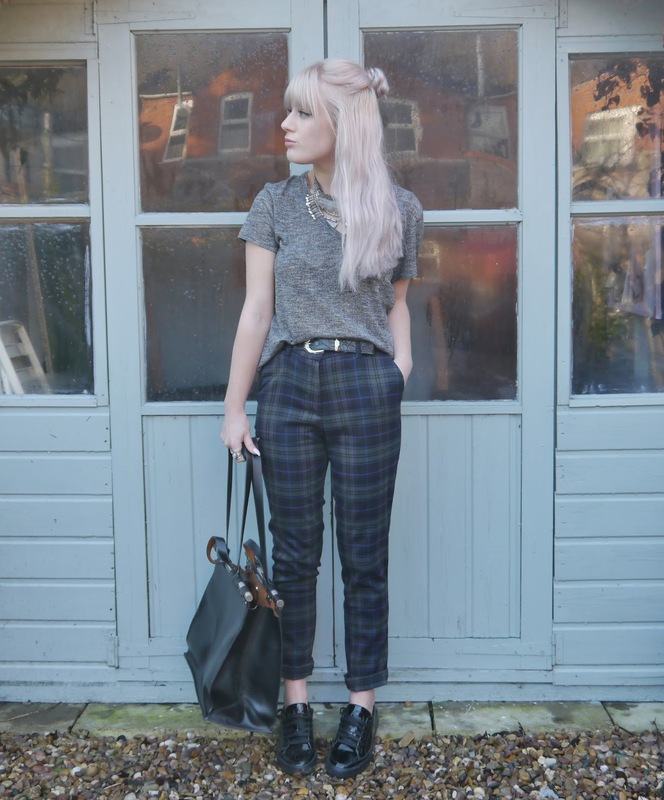 I love those trousers!